Proton pump inhibitors (PPIs) are widely used for the management of gastroesophageal reflux and in many countries these agents are sold over-the-counter leading in many instances to a misuse of PPIs. Recent studies have raised concerns regarding possible deleterious effects of these agents, including adverse clinical outcomes in patients receiving anti-platelet agents such as clopidogrel, increased prevalence of myocardial infarction, renal failure, dementia and endothelial senescence.1-5 An epidemiological study by Shah et al1, involving mining of clinical data for pharmacovigilance, recently highlighted the extent of cardiovascular side effects of PPIs. They assessed over 16 million clinical documents on 2.9 million individuals to establish the association between PPI administration and cardiovascular risk in the general population. The authors observed that “gastroesophageal reflux disease patients exposed to PPIs had a 1.16 fold increased association (95% CI 1.09–1.24) with myocardial infarction. Furthermore, survival analysis in a prospective cohort found a two-fold (HR = 2.00; 95% CI 1.07–3.78; P = 0.031) increase in association with cardiovascular mortality”. This association was not necessarily related to clopidogrel use. Of interest, the administration of H2 blockers, also used for the treatment of gastroesophageal reflux, was not associated with increased cardiovascular risk. More recently, Yepuri et al.2 found that “chronic exposure to proton pump inhibition accelerates senescence in human endothelial cells”, as assessed by telomere length studies. It is interesting that despite its widespread use, as discussed by Yepuri et al.2 these agents do not appear to have been approved by regulatory authorities for long term clinical use. Moreover, although PPIs are supposed to work selectively on the parietal cells of the stomach, they can also affect endothelial lysosomes and other pathways in the cardiovascular system and the brain2. Further specific studies and exhaustive pharmacovigilance studies are necessary to decide whether a more cautious approach is required for the use of these drugs in clinical practice. Cellular senescence is a damage and stress response which locks up cells that are normally able to replicate into an essentially irreversible growth arrest. Originally discovered in cultured cells, this response is now known to occur also in vivo in different tissues, including in the vasculature.1 In endothelial cells, the loss of replicative capacity inherent to the senescent state compromises the integrity of the endothelium and impairs successful angiogenesis. In addition, senescent cells undergo distinct changes in gene expression, which in the case of endothelial cells result in a phenotype that is pro-inflammatory, pro-atherosclerotic, and pro-thrombotic. 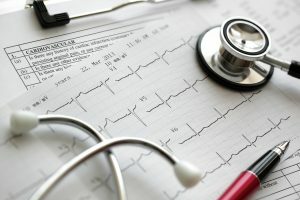 2 Thus, the recent finding of Yepuri et al.3 showing that chronic exposure to proton pump inhibitors (PPIs) causes endothelial dysfunction and accelerates the onset of senescence in a cell culture model, provides a plausible explanation for the recently discovered associations between PPIs use and an increased prevalence of myocardial infarction, renal failure and dementia. Yepuri et al also showed that PPIs disrupted lysosomal function causing protein aggregate accumulation, these being probably the primary events that ultimately led to senescence.3 At the molecular level senescence is often linked to the progressive shortening and eventual dysfunction of telomeres (the physical ends of chromosomes), resulting from excessive cell replication. Furthermore, telomeric DNA is also susceptible to oxidative attack. Accordingly, the rate of telomere erosion is greatly affected by the oxidative burden of the cell. Consistent with these notions, the observations that PPIs inhibitors increased the generation of reactive oxygen species and accelerated telomere erosion are particularly relevant. Intriguingly, PPIs also reduced the expression of telomere associated proteins, whose normal role is to maintain telomere length and function. However, how the putative primary action of PPIs on endothelial cells, in this case lysosomal alkalinisation, is related to these other molecular events is currently unknown. Hence, the findings of Yepuri et al. not only provide a rational explanation for the negative impact on the long term use of PPIs but also represent a new paradigm to explore additional intracellular pathways leading to senescence. Erusalimsky J.D. and Kurz D.J. (2005) Cellular senescence in vivo: Its relevance in ageing and cardiovascular disease. Gerontol. 40, 634-642. Erusalimsky J.D. (2009) Vascular endothelial senescence: From mechanisms to pathophysiology. Appl. Physiol. 106, 326-332.